From Ubud, Indonesia comes this wonderful testament to Jan Van Schaik's designs. 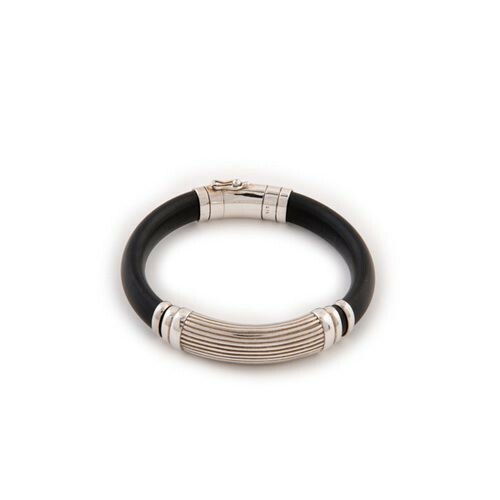 The innovative use of rubber and sterling silver, coupled with the ingenious clasp, lead Jan to create some incredible pieces of jewelry like this bracelet. Simple yet striking, this bracelet can be worn solo or stacked with similar styles.